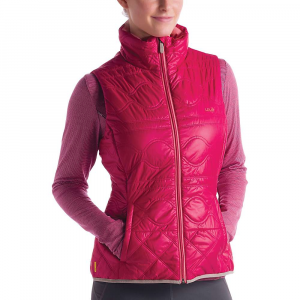 People will think you've gone to school for decades given your cold-weather layering skills, but it doesn't take years and a dissertation to recognize the wisdom of adding the SmartWool Women's PhD SmartLoft Divide Vest to your winter wardrobe. Functional and fashionable, this vest marks SmartWool's foray into wool-insulated outerwear, and it earns an "A" for being all-around awesome. 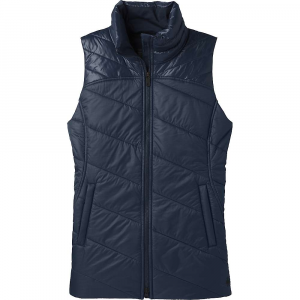 The semi form-fitted silhouette lets you throw a hardshell over this vest for wet spring skiing, or rock a pair of skinny jeans, cowboy boots, and cashmere turtleneck when strolling around town square in Jackson Hole. This winter-wise vest presents two different faces depending on which way you're looking. Three distinct pieces compromise the front: a DWR-treated quilted nylon face, SmartLoft wool-polyester blend insulation, and a 100% merino wool lining. 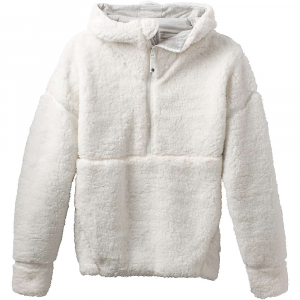 In back, a blend of merino wool and elastane warms your shoulders while remaining flexible for whatever lies ahead. The DWR treatment helps the nylon face resist inappropriate entry requests by water, and the quilting prevents the SmartLoft insulation from shifting and settling. 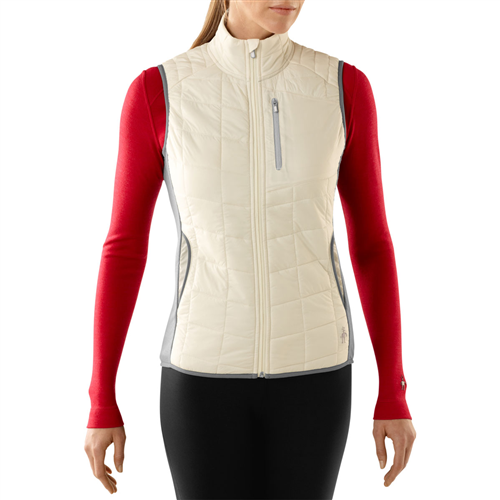 This vest keeps you warm and cool due to the magic of merino. Merino consists of millions of ultra-fine fibers that, in addition to feeling sweet against your skin, trap air in millions of little pockets to create a strong line of defense against body heat escaping when it's cold. On the flip side, when you're trail running and working up a sweat, merino takes the moisture vapor before it condenses into sweat upon your skin, and moves it to the outside for rapid evaporation. Not only do you stay cool, but odor-causing bacteria do not have an environment conducive to life. As such, the vest shouldn't stink after a hard hike or a week's worth of wear, even if you do. 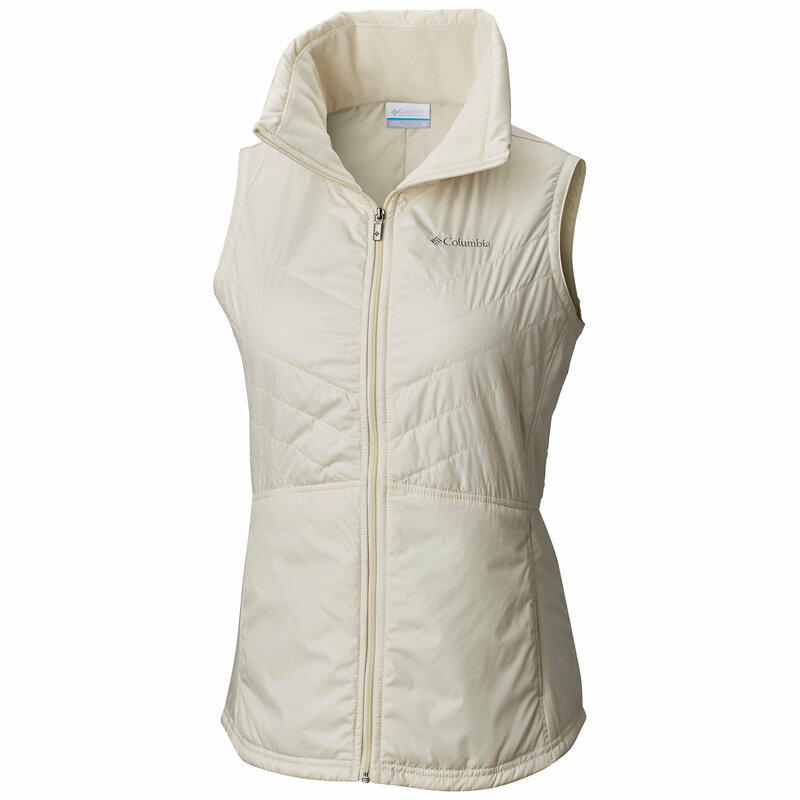 Smartwool Midweight Softshells PhD Smartloft Divide Vest - Women's-Natural/Alloy-Large. 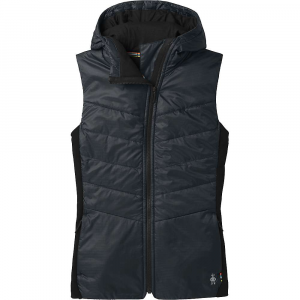 The Smartwool PhD SmartLoft Divide vest pairs Merino lining with a wool-insulated quilted nylon shell. Wear it for maximum options on epic outings. Insulated with warm wool quilted inside nylon, the women's Smartwool PhD SmartLoft Divide jacket regulates your temperature when you're on the move. CLOSEOUTS . A versatile layering piece that gives and gives, SmartWooland#39;s PhD SmartLoft Divide vest features a superlight design with a windproof, insulated front and stretchy-soft performance merino wool on the back and in the lining. Available Colors: BLACK, NATURAL/ALLOY, PERSIAN RED. Sizes: S, M, L, XS.